Let’s save our farmers, the soul of our country. “Jai Jawan , Jai Kisan” - This slogan of a visionary prime minister Shri. Lal Bahadur Shastri have lost its potential over the time. After the independence, according to Gandhiji's vision of Gram-Swaraj, villages and specially farmers were to be the main focus of any development plan of India. As years passed, by agriculture as an industry lost its importance for policy makers of India. This over the time caused severe distress among the farmers leading to recent dramatic rise in the number of suicides among farmer community. The number of farmers committing suicide in India is more than twice of the total number of suicides being committed in the top 100 countries on the suicide list! Every day in national newspaper invariably there is news related to farmers' suicides, especially in the region of Marathwada (Maharashtra). As per Government record, total 198 farmer suicide cases has been recorded in 2012, and then 207 in 2012, 574 in 2014 and 1130 in 2015 - It clearly indicate that the situation is getting worst day by day. Since long time, farmers have been facing a number of socioeconomic problems, such as harassment by moneylenders, inability to repay debts following crop loss, inability to get medical treatment for the family, etc. The problem is compounded by lack of positive and cooperative support from banks especially in the face of inclement weather and market fluctuations. The geographical disadvantages double up as the plains of Marathwada are spread more in the interior parts of Peninsular India. The region has no major river flowing through it. The region is far from the western coast and eastern coast – and the mountain regions of Western Ghats restricts all the weather activity and leaves very little for Marathwada. Of course the geographical structure is not man made and can not be restructured. But has this happened all of a sudden? then no, it was there since long but we ignored it completely. In spite of fact that the people are heavily dependent on the water reservoirs, there are very limited numbers of water reservoirs in the region. We failed short to see the future and did not prepared ourselves to fight with 'What if?' situation, and therefore today we caught in to this trouble. While it has already happened, many institutes and organizations have conducted research and proposed the long-term solutions to come out of this situation. Although there can not be a sudden stop to all this, but we strongly feel that some small but immediate actions can definitely reduce the frequency of these incidents. Instead of always pointing towards Government we believe that as a part of this society it is our everyone's equal responsibility to help farmers. With this backdrop, In December 2014 we started with an initiative called Mission Save Farmer to help poor and needy farmers, especially in the region of Marathwada, without restriction to any cast or religion. It intends to help farmers morally, financially or in any other way, in order to prevent them from ending their own lives. It will assist farmers to learn and adopt new farming strategy, techniques to improve their crops productivity, with reduced efforts. Additionally it will provide financial assistance in case of medical or any other emergency situation in their family, with an intension to reduce extra burden on their minds. In last 4 years Aadharwad Foundation have helped 72 suicide committed farmer's families, in the form of financial aid and/or fulfilling all their farming needs. In 2014 farmer suicides were still in gray dark and unfortunately not many NGOs or people were prominently working on this problem. Being one of the first NGO to act on this problem we had to start from zero. We started contacting several Government officers like District Collector, SDM, Tehsildar in that region and requested for authentic information on recent farmer suicides in their jurisdiction. 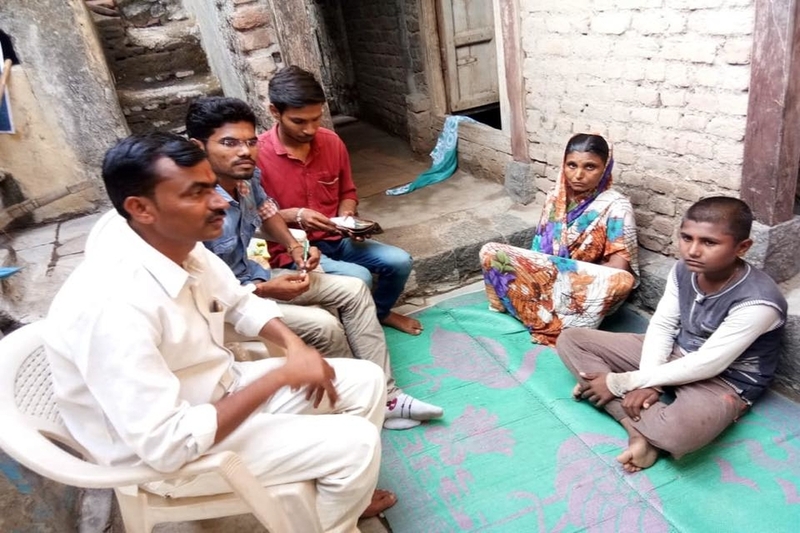 Based on all available information we selected 50 worst cases to work upon, and then also contacted other social group (JIJAU.COM, Parbhani) and NGOs (Vision WellFare Association, Dharmabad) in that specific region who can assist us to reach up to those farmers. After all this ground work, We drafted a well defined structure with few goals in mind. Of course financial aid was there in our plan but that was not the only thing. 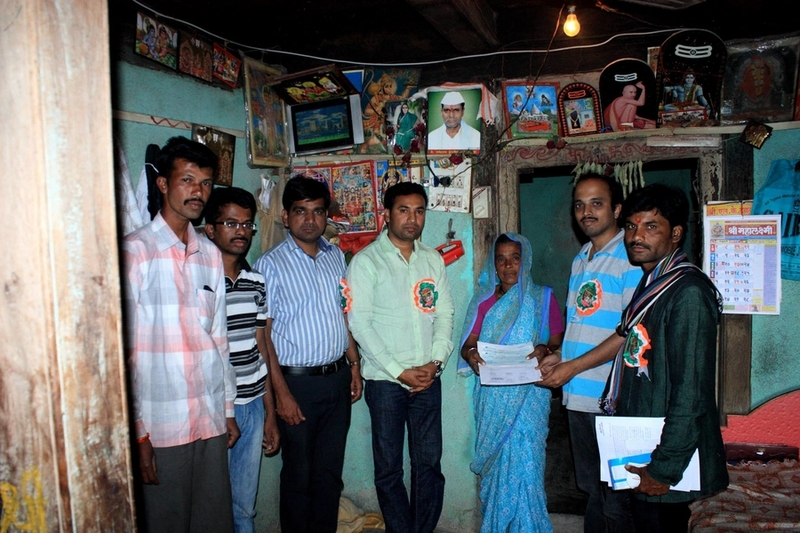 We decided to visit affected families to understand actual problems and reasons. We tried our best to motivate and strengthen the moral of family members, especially the deceased farmer's wife. There we realized that farmer's wives were more worried about their children's future rather then their own, and so we assured all of them that future of their children will be protected by educating them with our NGO's financial support. While doing so, we also met other farmers in those villages. It gave us an opportunity for open gatherings with villagers and make them realize that suicide is not a solution at all and by that they are only pushing their family in to hell. By the end of 2014 we met 19 farmer families, spread across 18 villages within 5 different districts and extended immediate financial aid of Rs. 2,30,000/-. 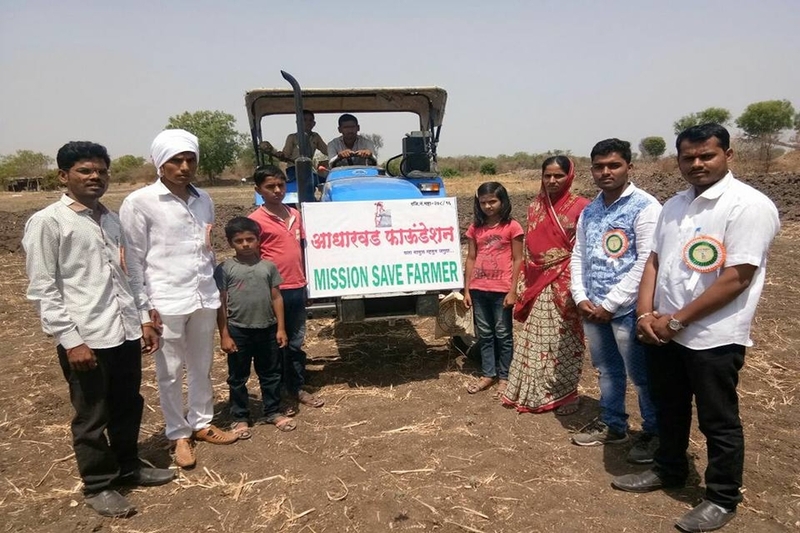 Also slowly press and media started writing about Mission Save Farmer and it also made other NGOs, Social Workers to start thinking on similar lines. 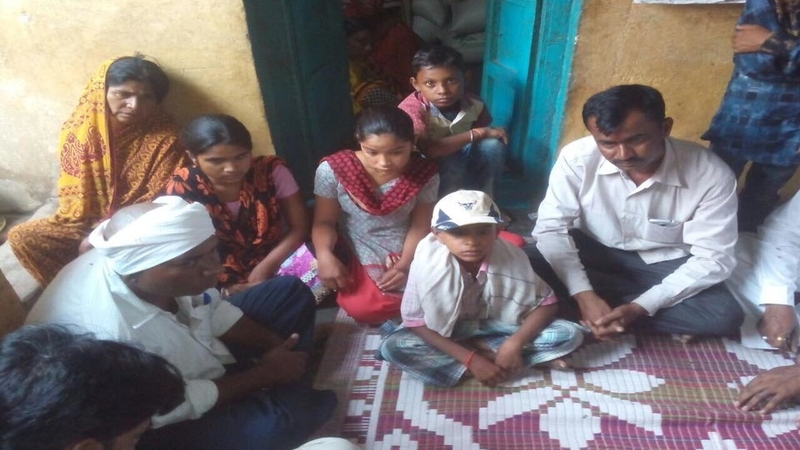 In first half of 2015, We continued with our farmer visits and by the end of April 2015 we met all remaining 31 families, spread across 28 different villages in 6 districts of Marathwada. 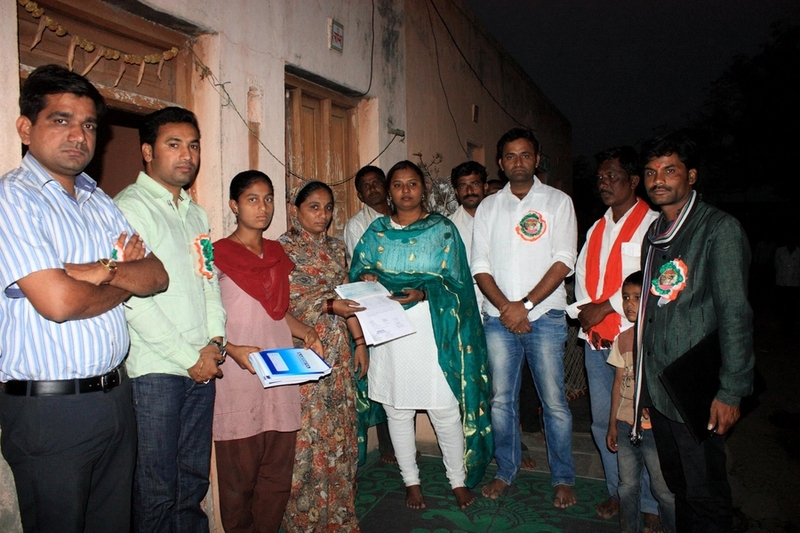 We provided immediate financial aid of total of Rs. 3,40,000/- to these families to enable them to sustain in that difficult situation. With little media coverage, people started appreciating our work and we received needed monetary contribution from everywhere, especially from our friends working in IT industry. 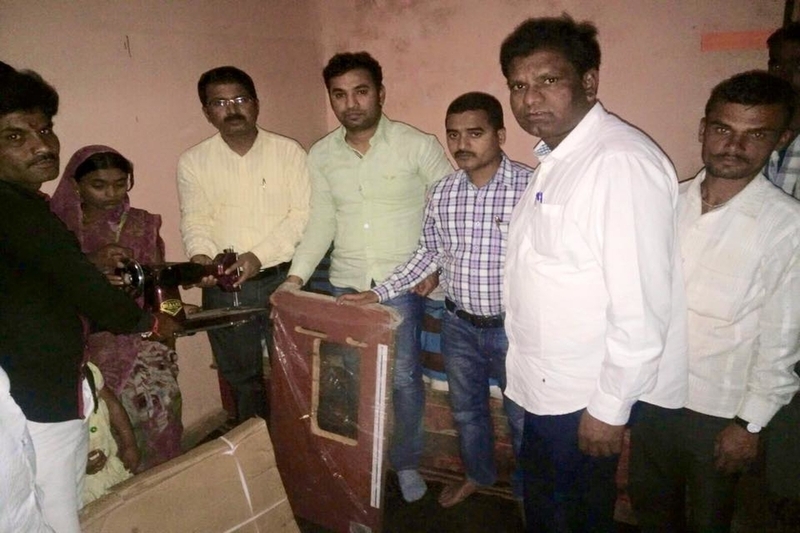 In addition to that we were successful in gaining the trust of many Government Officers and they also started supporting our initiative by instructing their local representatives like Talathi, Mandal Adhikari, Gram Sevak to cooperate us during our visits - having that we were able to solve small problems on the spot e.g. Ration Card, special monthly compensation under various Government schemes for widows etc. In addition to help them in their farming, we also started working towards making them self-sustained by motivating them for entrepreneurship . In line with this, we distributed 4 Goats and 1 Stitching Machines of worth Rs. 33,600/- to 3 deceased farmer's wives, based on their skills and interest. There is a very famous saying "Give a man a fish, he will eat for a day. But teach him how to fish, he will eat for the rest of his life". Until 2015, We use to provide money to deceased farmer families. But when we thought on certain questions like 'how long they could have survived on it?' 'How long we could keep sending money?' it made us to re-think on the format of our aid being provided to farmers. Additionally, with experience from last 2 years, we understood that our farmers have a strong self-esteem and not everyone of them is happy to accept free money. They wanted to be helped in a way by which they can again stand on their own feet. Also, having money was not sufficient, because until this day the farmer's wife never had been in to a situation where she have to purchase seeds, fertilizer or pesticides needed for farming. Having thought on all these points, In 2016 we decided to provide them all that they would need for farming, like furrowing their farms by tractors, providing high quality seeds, fertilizers and pesticides etc. All this was supposed to be made available at free of cost and most importantly right at their door. 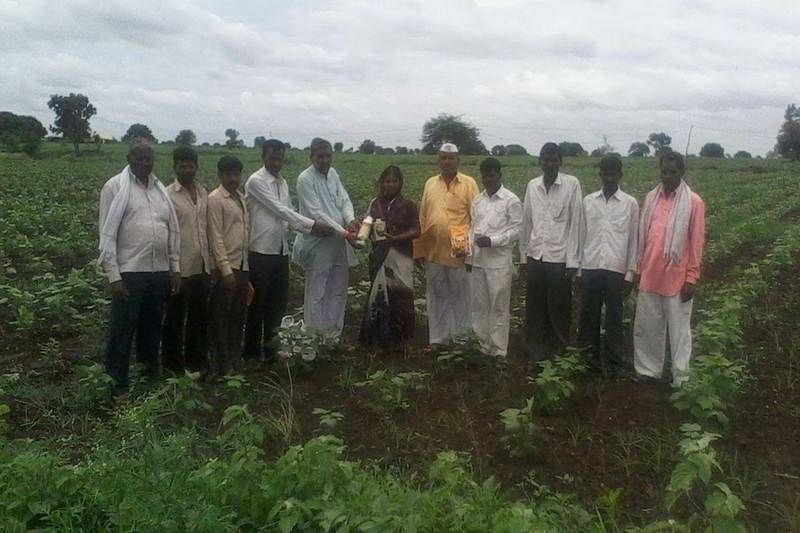 We selected 10 deceased farmer's families from Partur taluka and assisted them for a complete crop season - Jun to March. This pilot project of worth Rs. 1,18,833/- has been very satisfactory and a exemplary project. 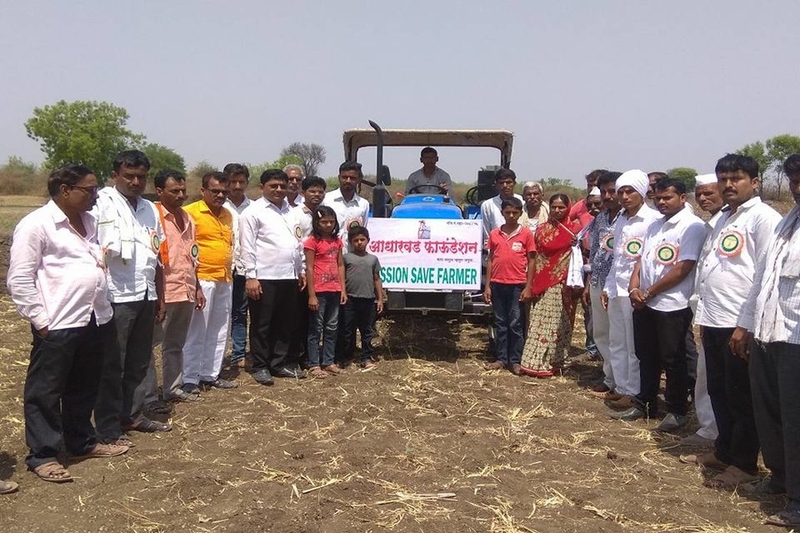 Those 10 farmers have produced total 73 Quintals of Cotton, 55 Quintals of Soyabean and 10 Quintals of Toor out of 20-22 acres – which would make them earn approximately 6 lakhs in all together. By this refined approach we didn't hurt their self-esteem as they were the one who actually worked in those farms, sowed seeds and cultivated those crops. 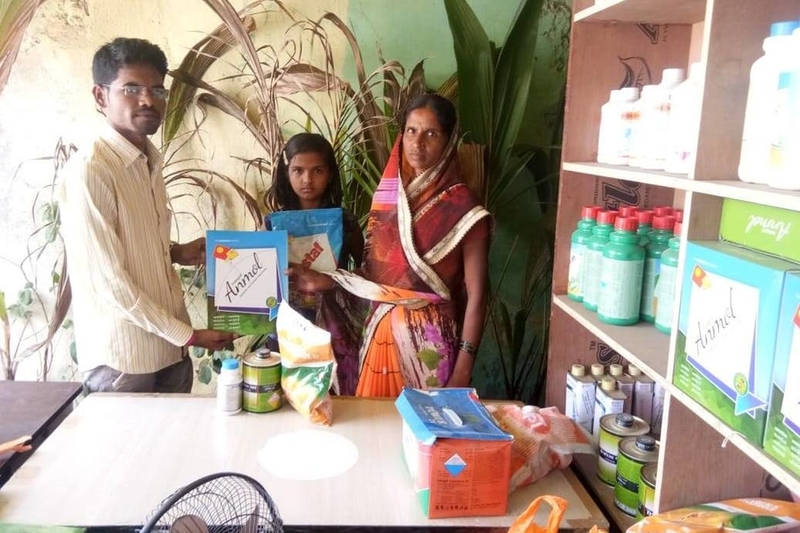 They have earned far more than what we use to provide them in the form of net cash, but most important thing is that they got their confidence back, which money could have never done it. 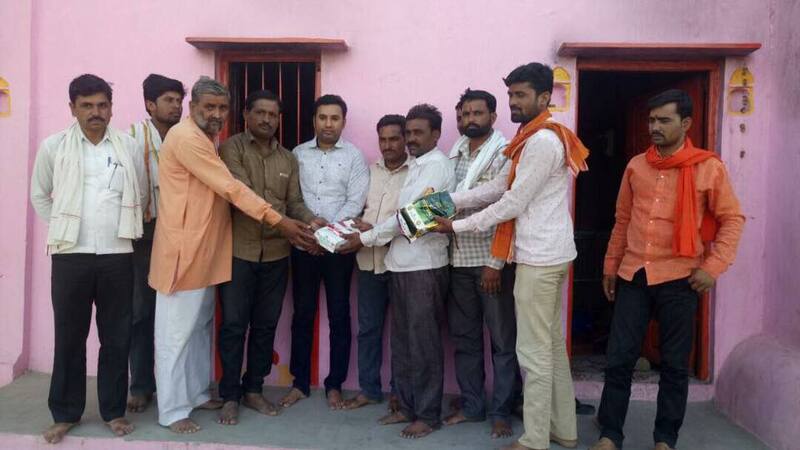 In continuation with what we started in 2016, The Aadharwad Foundation have identified 8 (7 deceased farmers, 1 fire tragedy victim) needy farmer families from Partur, Ghansavangi, Mantha and Jalna taluka to whom high quality cotton, soyabean seeds along with enough required fertilizers were provided, right at their door. Additionally, Miss. Ashwini, daughter of late. Vitthal Shinde, who wanted to continue her graduation (B.Sc.) 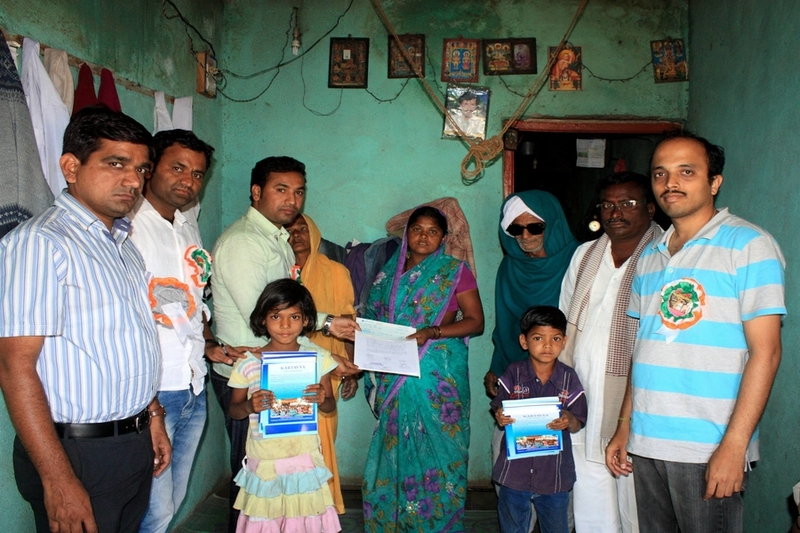 and prepare for competitive exams (as per her father's wish) at Parbhani have been provided with financial assistance of Rs. 30,000/- in order to cover all expenditures of an year. In total aid of Rs. 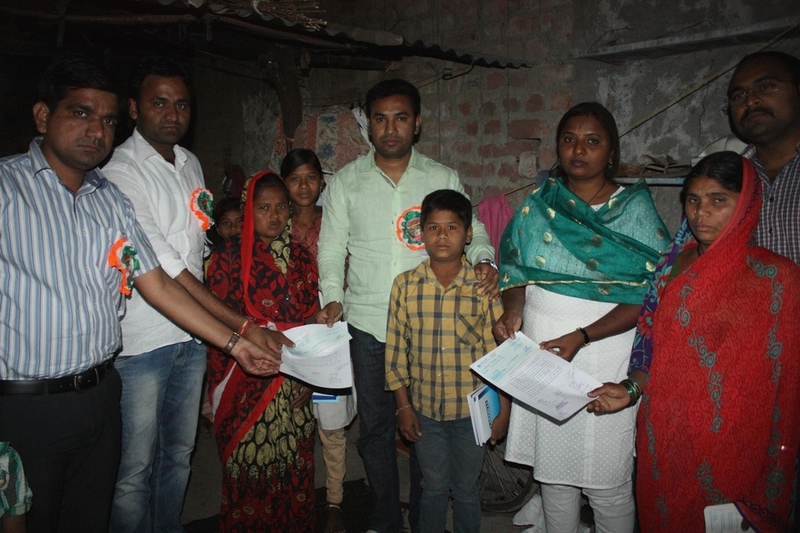 79,360/- has been provided to these families. On 18th December 2017 Shri. Datta Rambhau Solanke (Vill. Soyanjana Tq. Partur Dist. 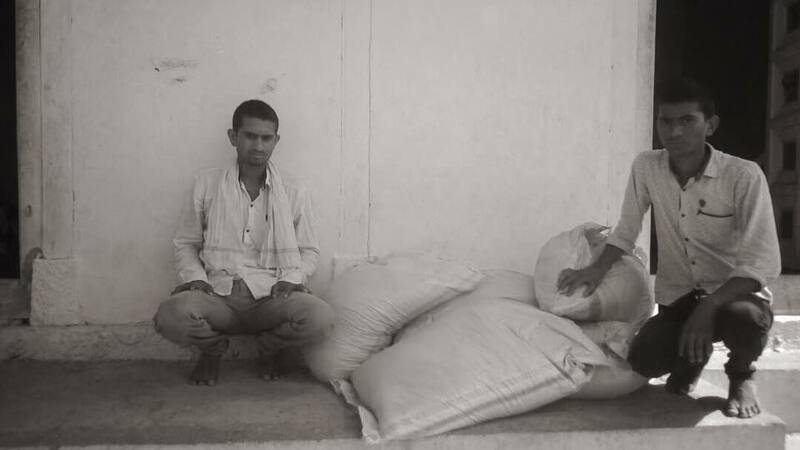 Jalna) committed suicide due to continued losses in his farming, leading to financial crises. 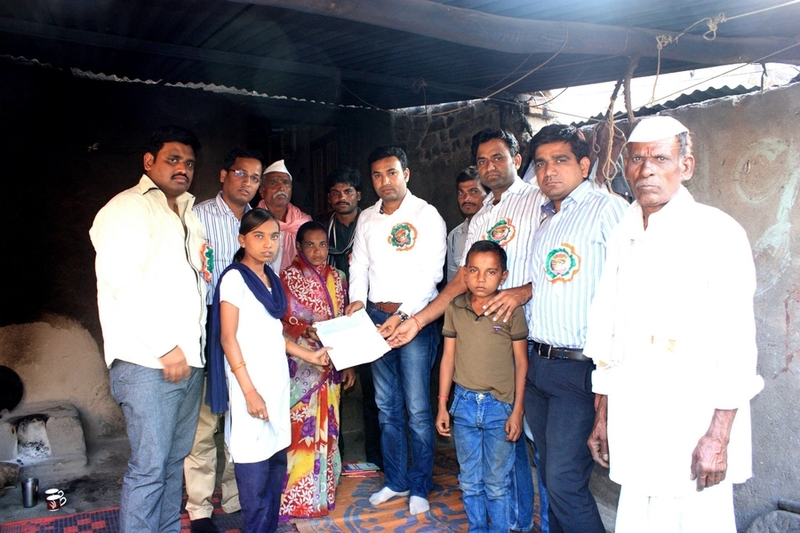 Thereafter on 28th December Aadharwad Foundation’s President Shyam Wadhekar and other volunteers visited his family and assured them all possible support in this crises situation of their life. 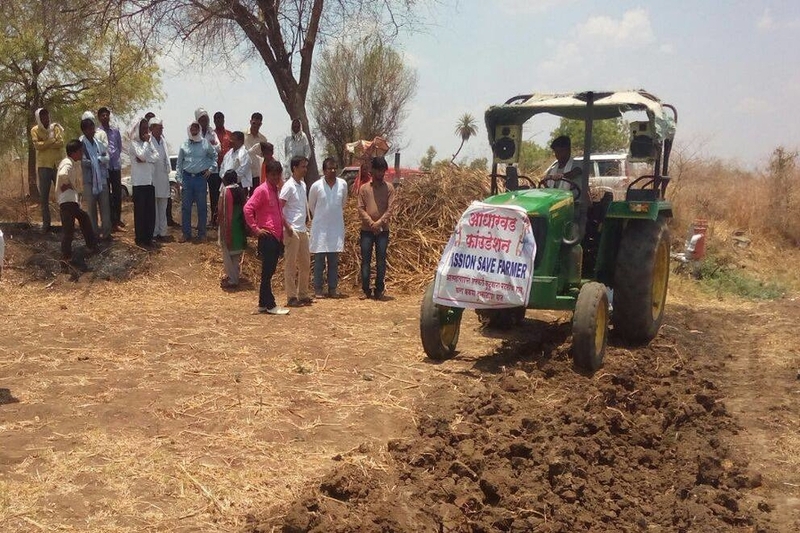 On 11th May, the farm furrowing has been completed in all 6 acres of agricultural land of this farmer. Now in coming month of Jun, Cotton, Soyabean and Toor Seeds along with all required fertilizers will be provided to them for starting seeds sowing for this crop season. Additionally, all 3 kids of this farmer have been assured educational aid under Kartavya Foundation for their education here onwards. On 14th May, An another farmer committed suicide in a village called Pande Pokhari near Ashti Tq. Partur. This farmer had 4 acres of farming (dry) land, and due to repeated losses in farming he was unable to repay the debt taken during his 2 elder daughters' marriage, Shri. Sundarrao Ghatul ended his life, leaving behind only a son Ganesh (8th Class) with his wife. Now It's a bitter fact that Ganesh and his mother will go through a tough life in near future! and we are not capable of solving all their problems. However being a human, it's our responsibility to help such families as much as we can. With this honest thought, our local volunteers met them on 6th Jun and assured to provide educational help to Ganesh until he completes his graduation. Furthermore, to reduce their financial burden we have assured them to support for this season's farming - Cotton Seeds, Fertilizers etc. 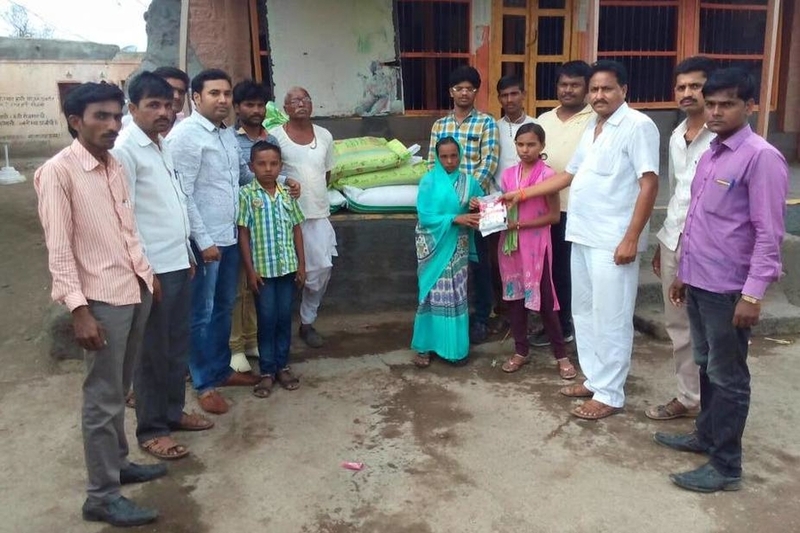 On 17th Jun, our volunteers again visited these 2 farmer's families and handed over all required Cotton, Soyabean, Moog Crop Seeds and Fertilizers for this season. Further on 8th September they have been provided with all needed insect pesticides for their crops. In total aid of worth Rs. 41,330 has been provided to these 2 families. Our NGO has been always the first one (and probably only one!) in this drought affected region to extend immediate aid for deceased farmer families. 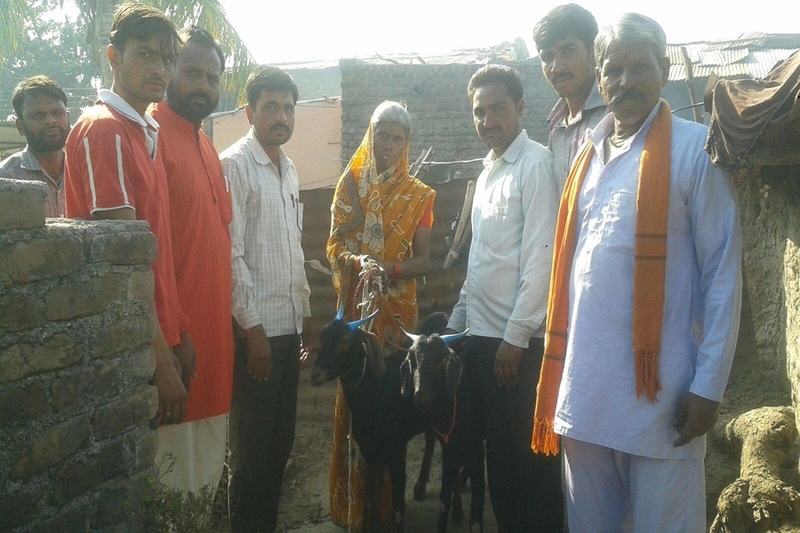 As part of Mission Save Farmer we have helped 73 families since December 2014. We are very sure that everyone appreciate this noble act of kindness. However that's not enough for us to continue with this initiative, as it need financial support as well. 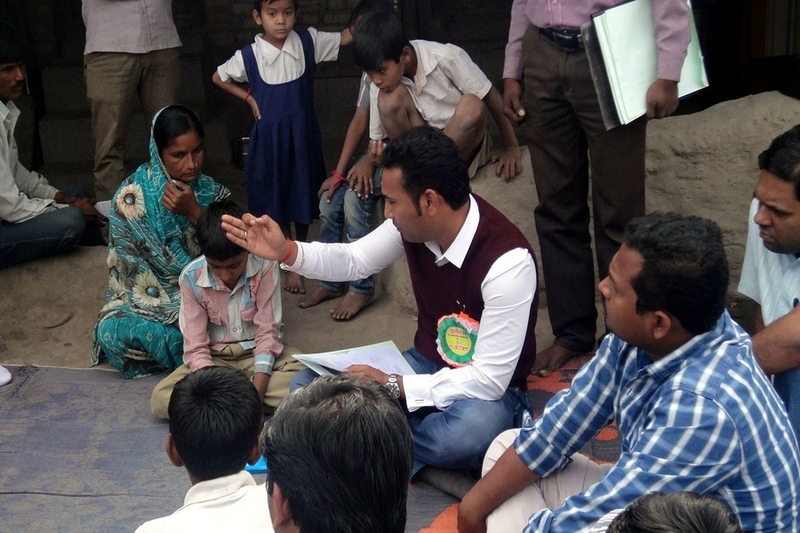 Aadharwad Foundation has a strong volunteer team, and it includes social activists as well as highly educated people like Engineer, Doctor, Teacher and all these people have volunteered tirelessly for success of this initiative. They are many, but just to highlight few of them Shri. Sakharam Mujmule, Devidas Karhale, Shankar Devshatwar, Balasaheb Dhumal, Santosh Khandagale, Shabbir Sheikh, Nitin Mujmule, Rajesh Raut, Amol Kharat, Shri. Sampat Irkar, Jagdish Chandar, Sunil Chandar, Anirudha Katare. In Dec 2014 to March 2015 when we had to visit other districts, we asked for help from few other NGOs and Social Groups to reach up the farmers in their districts. 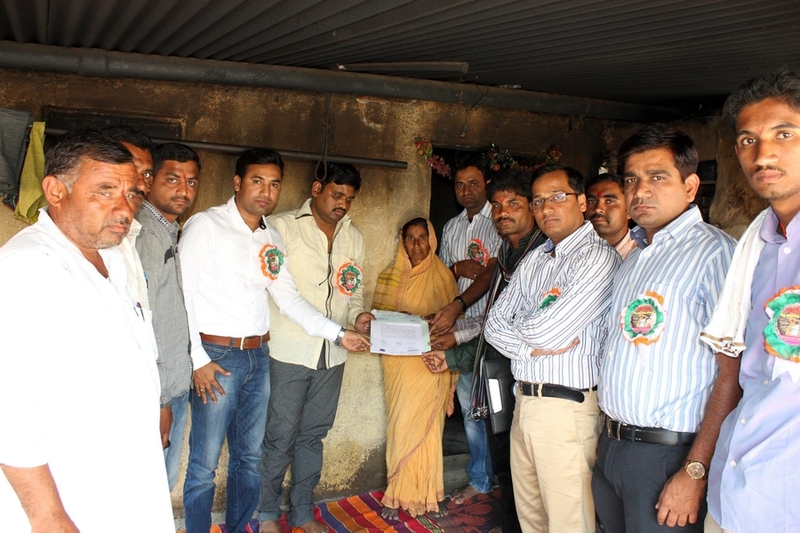 Mr. Sudhakar Patil from Vision Welfare Foundation (Dharamabad), Mr. Sudarshan Jagdale from GDP Foundation Osmanabad, Mr. Amol Suroshe, Mr. Prakash Pimple, Mr. Dnyaneshwar Renge from Jijau.com group Parbhani and Mr. Sachin Ubale (Swabhiman) from Beed are few of them. This initiative is completely based on public donations. The people from IT and Software Industry, from within as well as outside of India are our prominent fund contributors. The Government officers in our region have always helped this initiative in various ways and have always provided authenticated information on farmer suicides, without that this initiative would not have been possible. The Mr. Sachindra Singh (IAS), Mr. Amgothu Sriranga Naik (IAS), Srmt. Jyoripriya Singh (IPS), Mr. Arvind Lokhande (SDO), Mr. Vinod Gundamwar (Tehsildar), Mr. Rajabhau Kadam (Tehsildar), Mr. Anand Kambale (Krushi Adhikari), Mr. Rahul Mahiwal (IAS), Mr. Shivaji Jondhale (IAS) are few of them.